"This just feels right because I’m just trying to be my true self..."
. 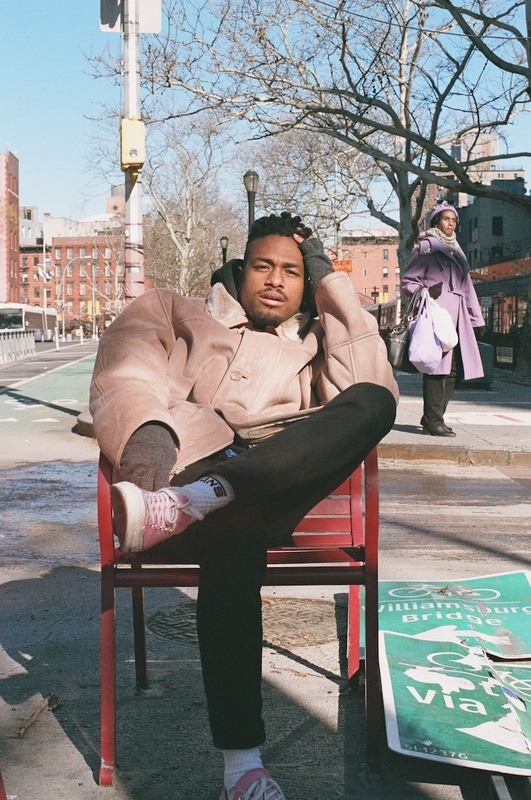 For some creatives with an armful of interests, this allows them to avoid the responsibility of using any of them to dig into anything of particular consequence, but Duckwrth, born Jared Lee, is the opposite. His passion for music naturally snowballs into his interest in fashion, and from there to a conversation about androgyny in hip-hop. 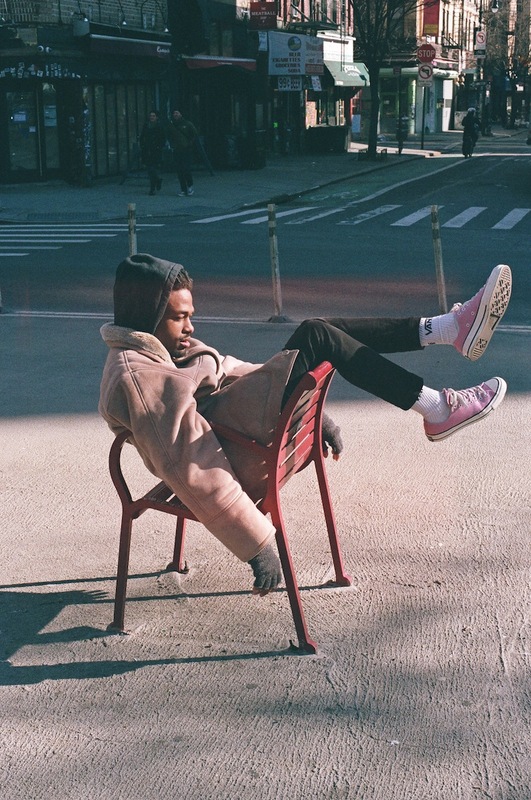 Duckwrth is a rapper for the slash generation, and one with substance to boot. Though dressed largely in black when we meet for coffee in New York, there is a kaleidoscopic quality to his music and general demeanor. The MC was born in South Central Los Angeles, attended art school in San Francisco, and has toured with artists like Anderson .Paak to Rich Brian, proving an ability to adapt to any circumstance while still remaining singular and true to his roots both geographically and in terms of his own identity. On the walk to various photoshoot locations, he dances through the frigid streets of lower Manhattan, comfortable as the star of the day’s film and not needing to flaunt it too much. It make sense why his DJ, Anthony Dragons, described the polyglot MC as an evolving anime character who may still be discovering his final form. Throughout our conversation, the idols that Lee brings up are people like David Bowie, Prince, and especially Michael Jackson, who is the subject of his ode 'MICHUUL', which is part MJ homage, part confident come-on, and part neo-Neptunes anthem with its blasts of candied synths and spirited percussion. There’s plenty of uptempo funk on An Xtra Uugly Mixtape, Duckwrth’s recently released second mixtape, from 'MICHUUL' to 'THROWYOASSOUT' to 'HELLO GOD', and it’s easy to hear why he thinks the project could thrive on the catwalk of yesteryear. 'MICHUUL.' was the lead single off Xtra Uugly, a project that ambitiously balances well-written, richly populated tales of his South Central upbringing with plenty of glossy dancefloor cuts to keep the party moving. 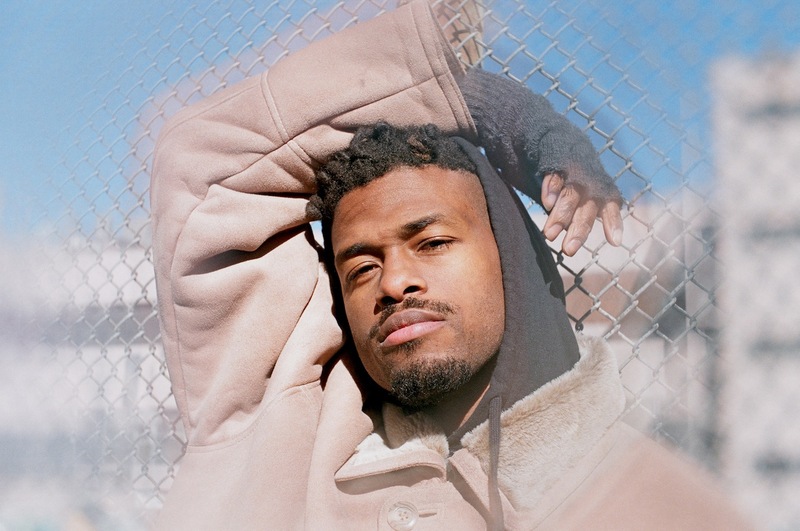 Through it all, Duckwrth remains a protagonist worth following and rooting for as he moves between family barbecues, spiritual crises depicted as unanswered text messages to God, and reminiscences of a young summer love loaning him some extra cash for ice cream, all told with humor and charming specificity. “Backyard Miracles” is one of his strongest tracks yet, functioning as both a rumination on his relationship with his parents as well as a celebration of success in South Central told through the lens of his bricolage of an extended family. 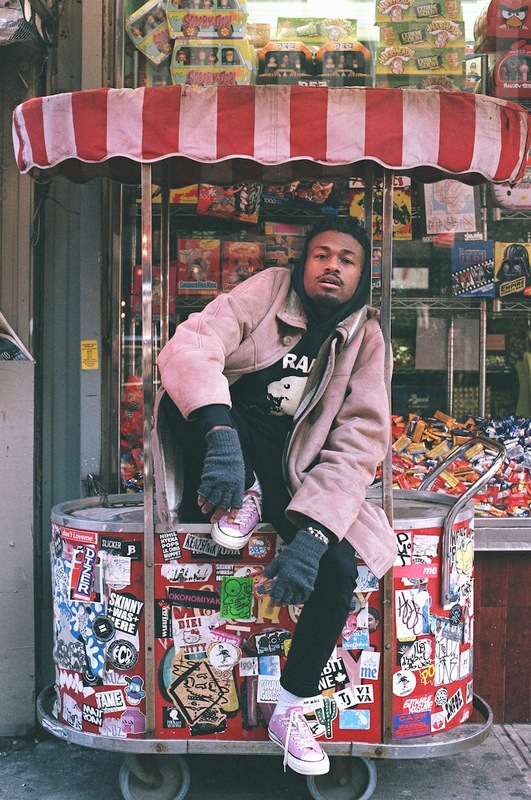 Authenticity is obviously crucial to how Duckwrth can flit between subject matter both cosmic and granular without losing his voice, and he says the project is grounded in three ideas: the changing of seasons, waking up, and his continued reclamation of the word “uugly,” which he told Earmilk in 2016 is about “embracing all of my shortcomings and flaws.” But there’s also a sense that he’s still at a stage of unbridled creativity where what matters is simply painting the scenes and asking the questions. An Xtra Uugly Mixtape isn’t a perfect project, but it is packed with unique, vivid, and honest moments that point to where he’s heading as an artist and that Anthony Dragons may well be correct when he says there’s a next level for him still to reach. For now, Lee stresses that he wants people to walk away from his most recent record with a commitment to being who they are, however “uugly” that might be.